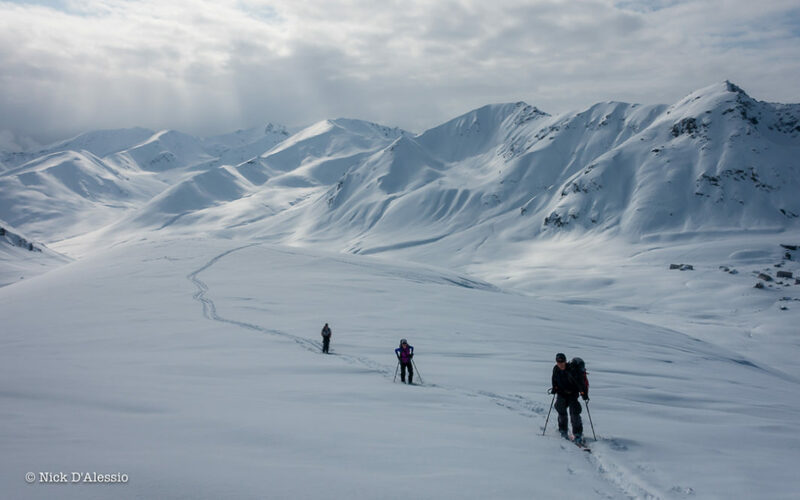 I spent the 2017/18 season in Alaska, guiding folks from all over the world across its incredible landscape. 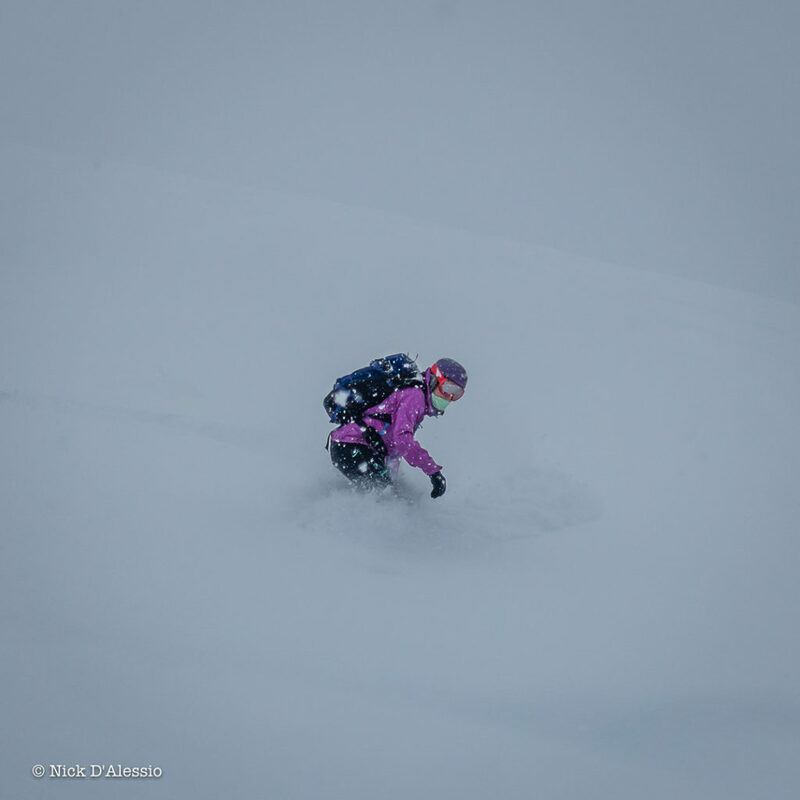 One of my best days was ironically the worst day of the season for conditions; with rain crust to treeline, sun crust on solar and wind hammered high alpine. Good to have these reminders that it doesn’t have to be great conditions or having to complete an objective to have a successful day. 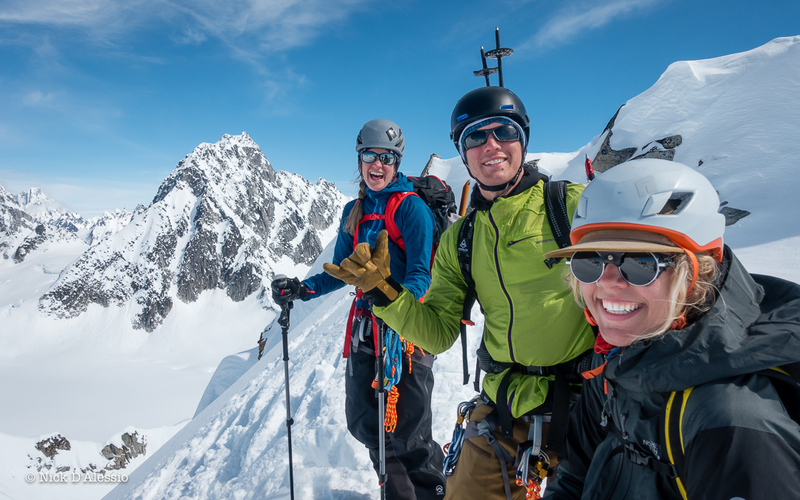 A bluebird day in March to a summit that I’ve never been to before and guests that were up for an adventure regardless of the snow quality – that was the recipe for a good day! 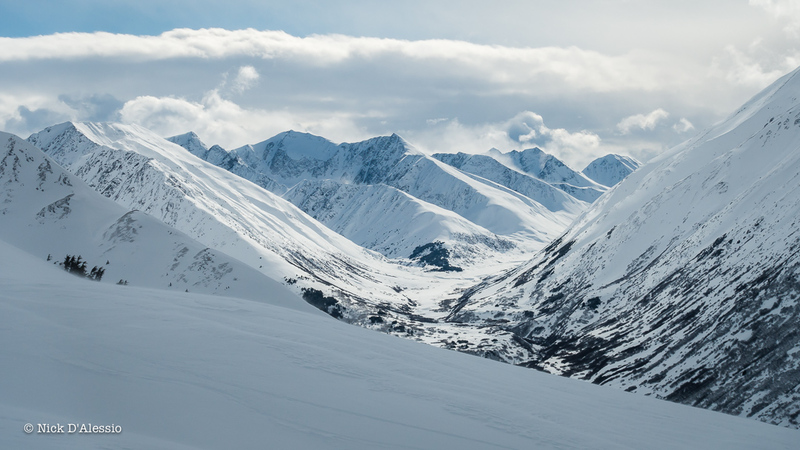 Views of Turnagain arm – on my “best but worst” day of the year. 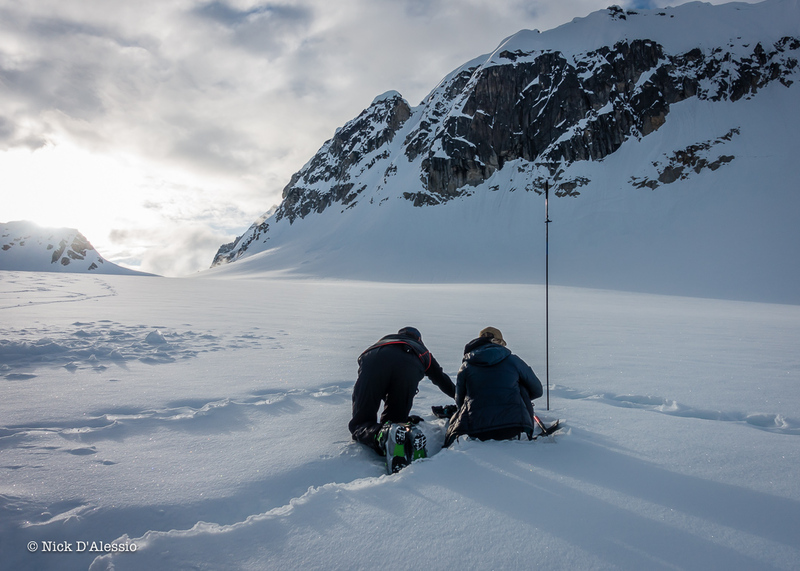 Joe Stock and I, along with Elliot Gaddy have started Alaska Guide Collective. This past season was our first year of operation after 1.5 years of set up. I’m pumped to be working with these guys and running my trips under our own banner. 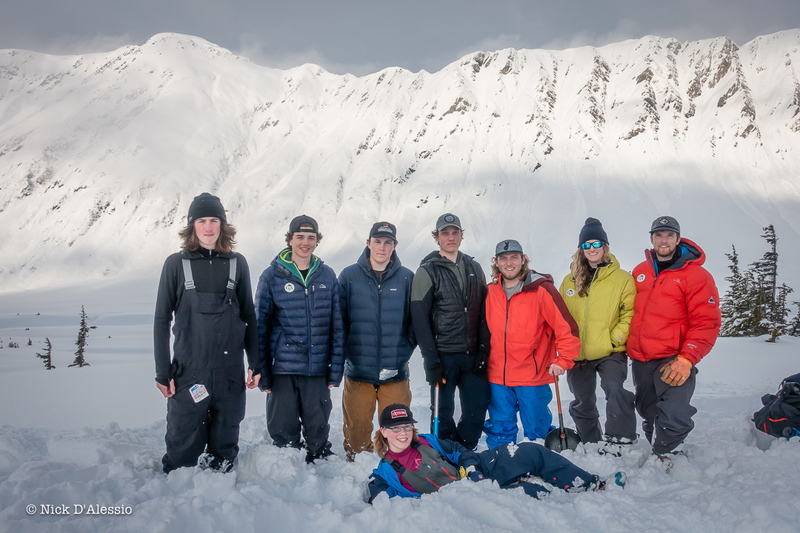 Pretty cool to have this high school backcountry ski program up from Maine for a trip in Alaska. We spent 4 days camping out and one more day trip in another area. Wish I had this in high school! Powder runs await on the other side of the pass. Morning light and mountains make for Epic Views! 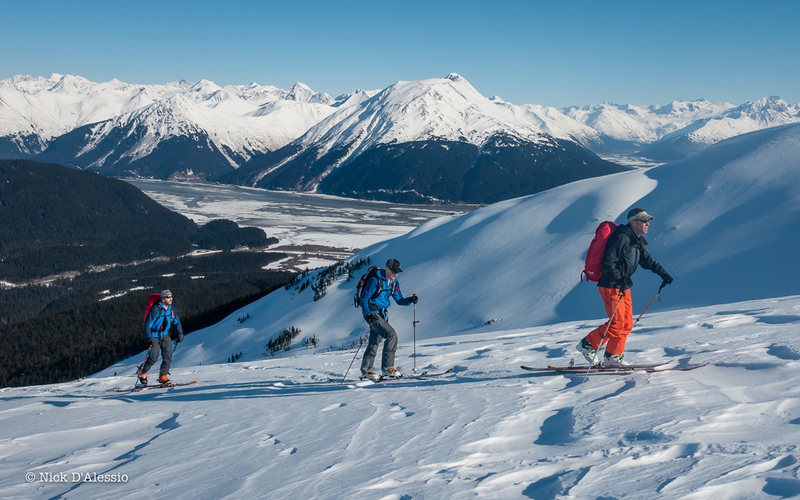 That realization there are too many ski lines to get to in a lifetime. 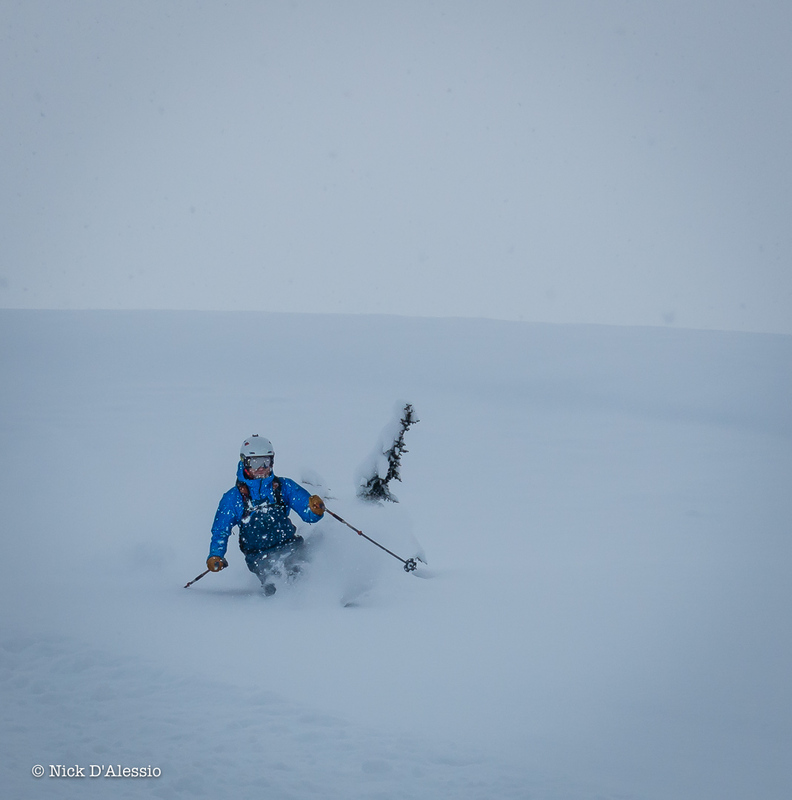 This season marked my 10th winter in Alaska. Also, a year I will remember for truly falling in love with my home area. So much more to explore, literally a lifetime’s worth. 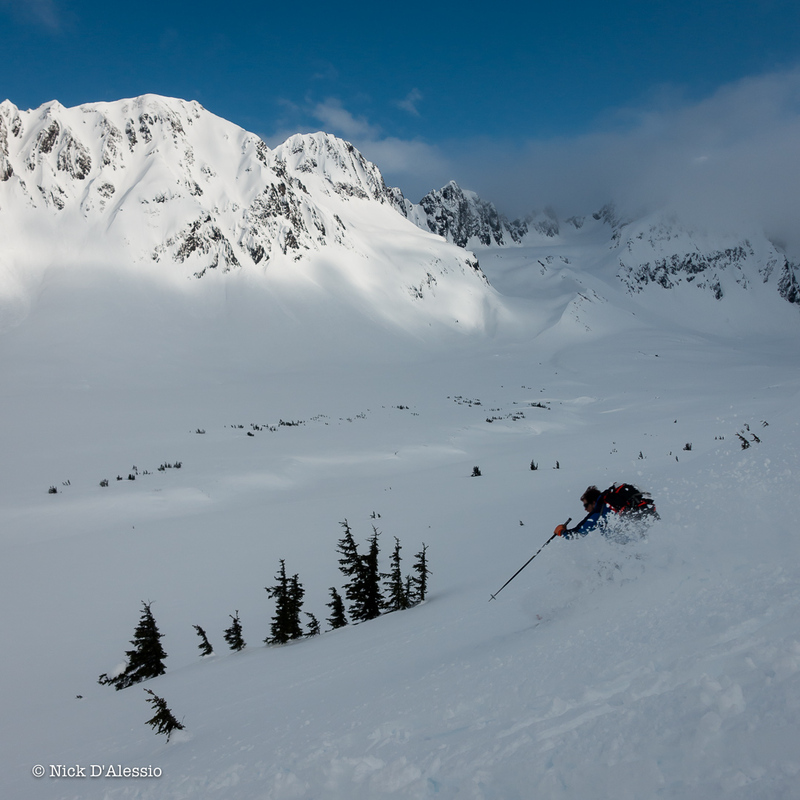 Up at the Hatcher Pass area for powder skiing on a beautiful day. 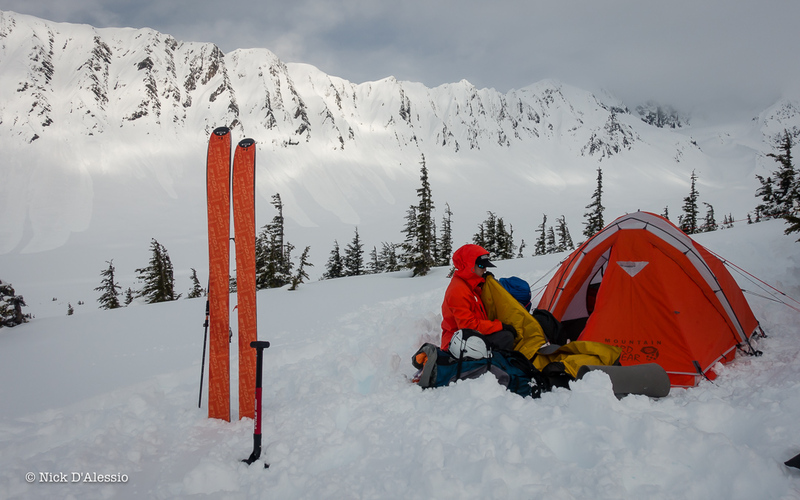 Camping out and skiing with views of “The Library” in Turnagain Pass. “The Library” is a great place for some learning. 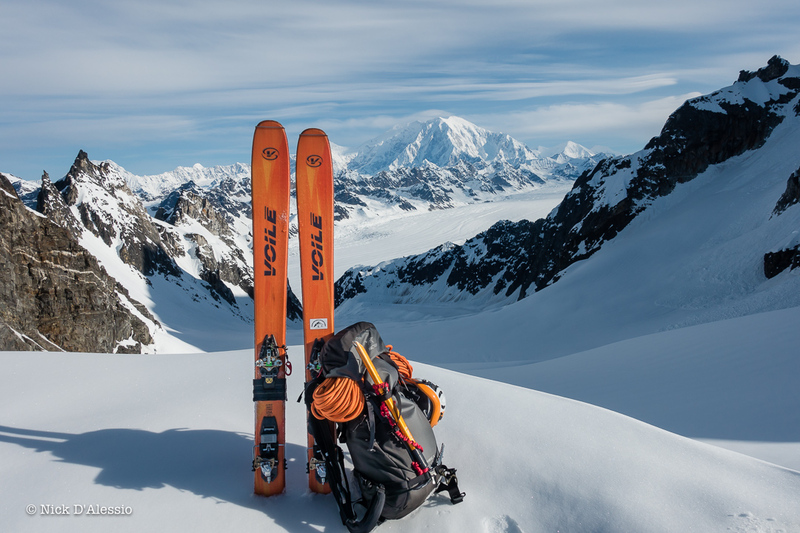 A spring highlight was a 9-day trip into the Alaska Range – Denali National Park. 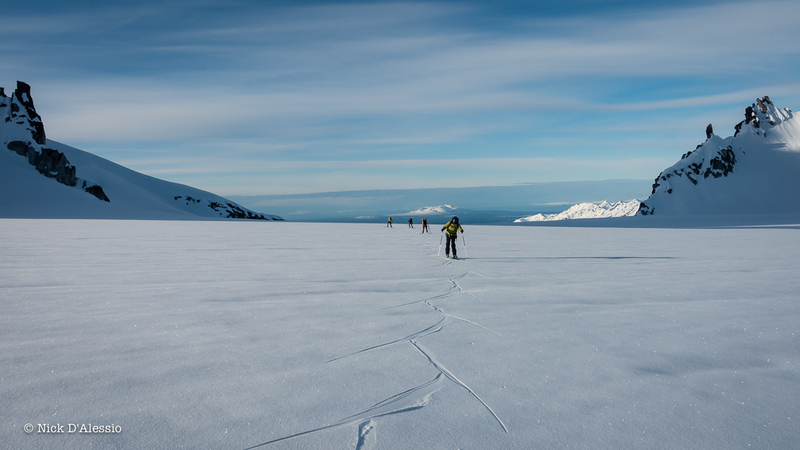 Skate skiing on the frozen glacier to our next objective. She’s a beast! 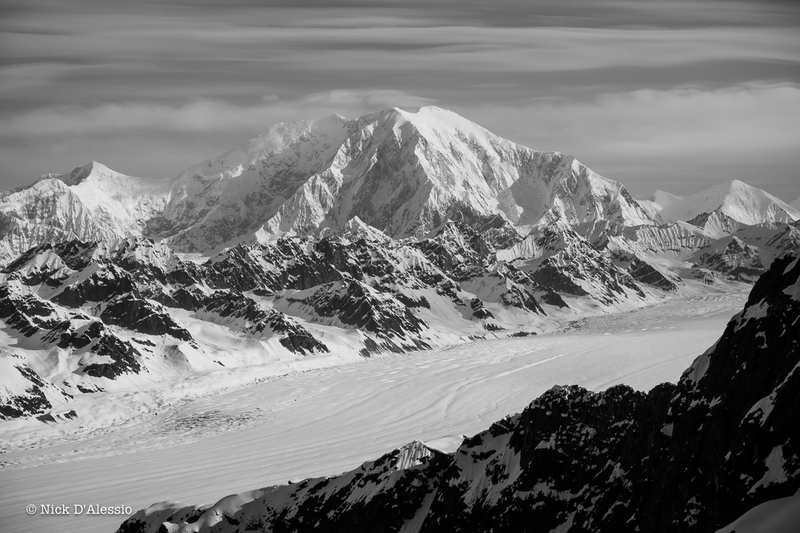 Out of 31 trips I’ve done into the central Alaska Range, this has got to be the best vantage point I’ve had of Mt. Foraker (aka Sultana). With 13,400 feet of vertical rise from the glacier below, a photo does not do it justice. 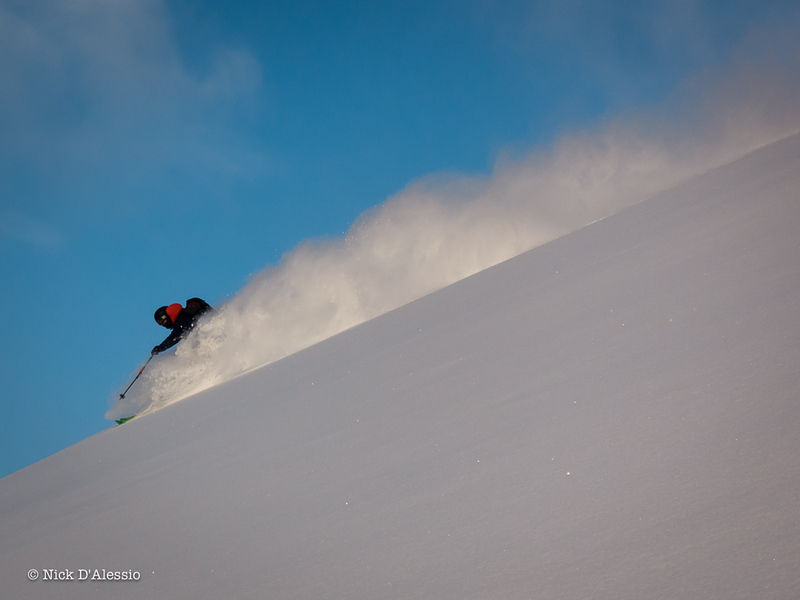 Definitely had some good pow days! Awesome couple from Canada for 3 days! I was also joined by a stoked crew of local Alaskans. 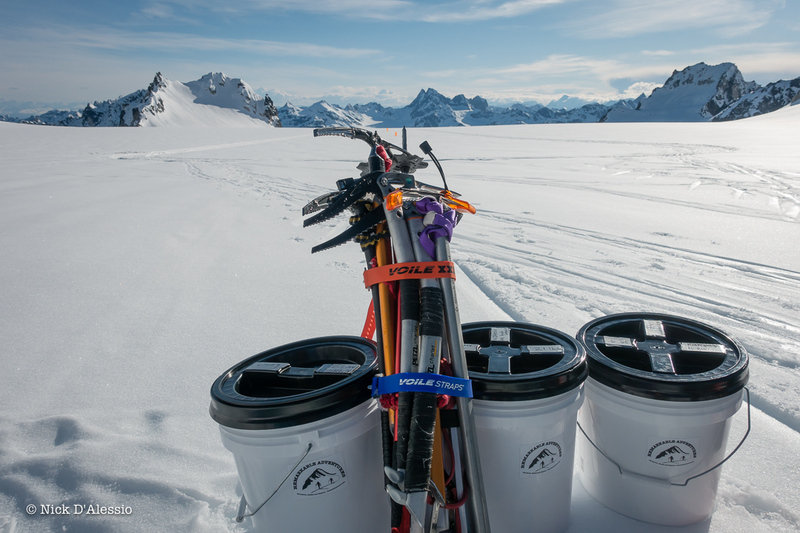 With tons of wilderness and whitewater experience they were looking to get their feet off to the right start and expand their skill set to include glacier travel in the big mountains behind their homes. Checking in on the daily snow study plot. Great use of the Voile XXL Straps. Securing all the sharps together for the plane pickup from Talkeetna Air Taxi. The tools for the trade. Thanks for viewing! I’ll see you out there. Born and raised in New Hampshire, Nick began climbing and skiing mountains as soon as he could walk. 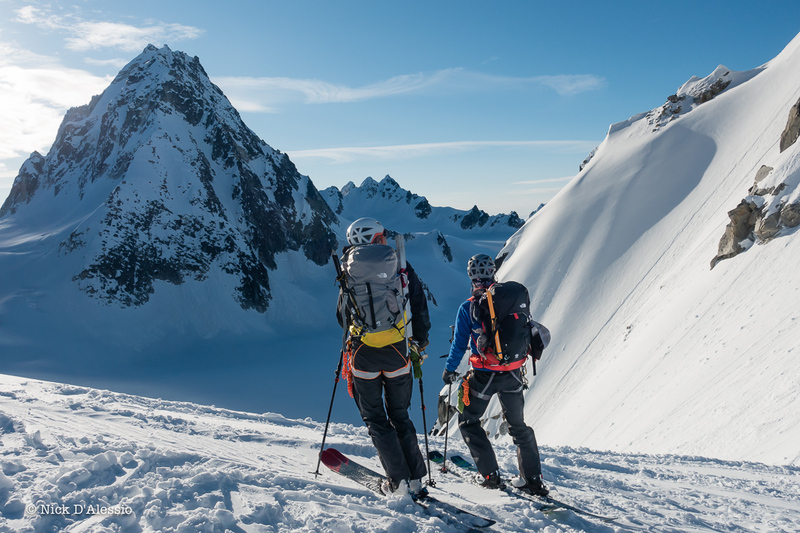 Answering the call of the mountains, he is now an AMGA certified ski guide, Avalanche and Backcountry educator, and Alaskan local. Home is now Girdwood, Alaska. 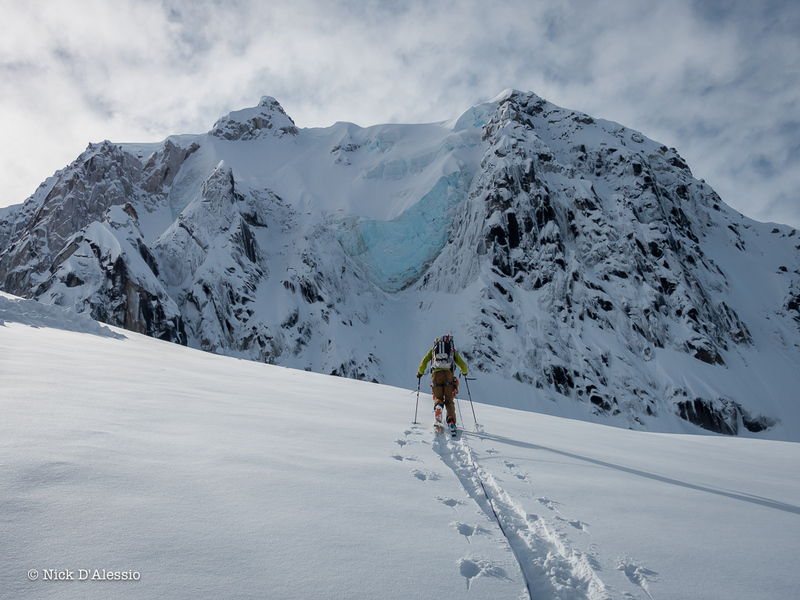 During the summer he leads expeditions in Alaska’s great ranges. 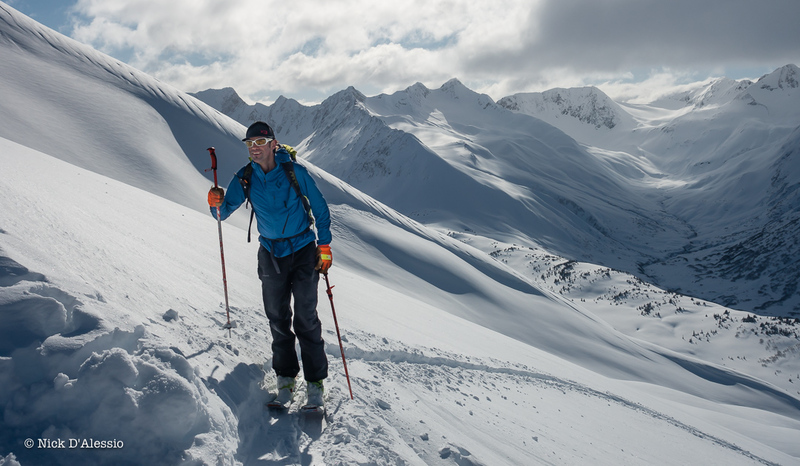 In the winter he guides Heliskiing and backcountry ski touring trips. 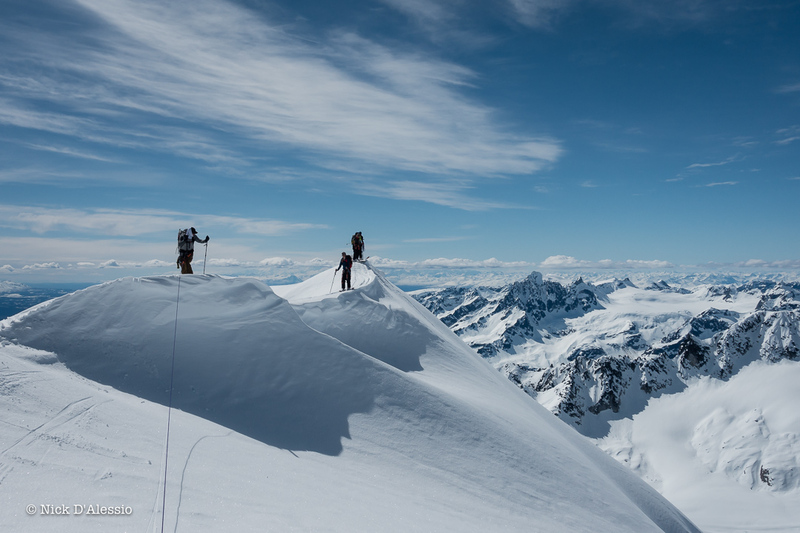 When not guiding, Nick is taking his enthusiasm deeper into the hills on personal trips. His career has become his lifestyle and he wouldn't have it any other way. 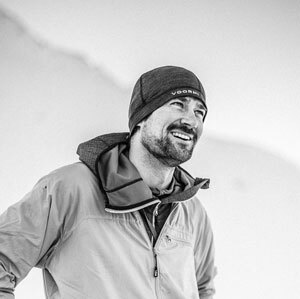 Nick loves to share his knowledge about safe mountain travel and looks forward to sharing his passion for the mountains with you.